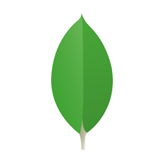 The MongoDB Build Team works with users inside and outside the company to build, operate and maintain automated build, test and release systems for all MongoDB products. Our primary areas of responsibility are the infrastructure underlying our homegrown CI system - Evergreen, and supported release platforms. MongoDB is the next-generation database that helps businesses transform their industries by harnessing the power of data. The world’s most sophisticated organizations, from cutting-edge startups to the largest companies, use MongoDB to create applications never before possible at a fraction of the cost of legacy databases. MongoDB is the fastest-growing database ecosystem, with over 9 million downloads, thousands of customers, and over 1,000 technology and service partners. Want to get notified about new jobs at mongoDB?